Purefecto: 3.1 Phillip Lim sunglasses giveaway Round 2! For those of you who entered for a pair of 3.1 Phillip Lim sunglasses couple weeks ago on this site and did not win, well, here is another chance! This time I'm giving away the brown version of the same sunnies. In about two weeks (September 15), Phillip Lim x Target collection will be unleashed. There will be tons of accessories to choose from! However, one of the accessory that was left out of the collection is sunglasses! Fear not my readers, I'm giving away a pair of 3.1 Phillip Lim sunnies! It's true that these are not from the Phillip Lim x Target collection, but can I say they are just as fabulous if not more because they are from his main collection line. I would love to win these sunglasses. I would love to win these gorgeous sunglasses! 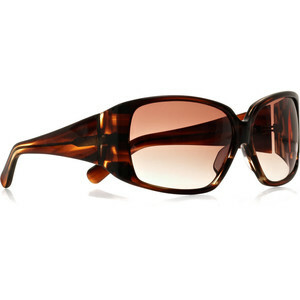 Beautiful sunglasses, very chic and very stylish, I would love to wear these little beauties! And of course I really want to win these glasses!!! Chic. Loved them. Would be blessed to win.